The Asus Vivobook F510ua-ah51 Charger gives you the perfect charging solution for your laptops. With its slim design, lightweight, and the latest Overheat protection technology and charge your battery faster than other brand adapters. Asus Vivobook F510ua Charger is thinner and lighter than ever: which makes it just 0.5kg* product and amazingly fit in your laptop, backpack. 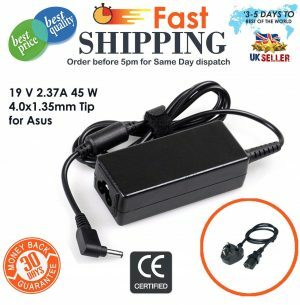 It is an everyday Laptop Charger which comes with a Free power cable. Exceptional performance has always been the hallmark of the UKLaptopCharger. It is Powered by the latest smart features* includes Incorrect voltage Stabilizer, SC – short circuit, IO – internal overheating and keep your laptop safe from any electric hazard. It has an inbuilt circuit, so you can use our adapter for longer hours without worry for laptop gets shut down. It’s has everything you need from a Replacement Adaptor. 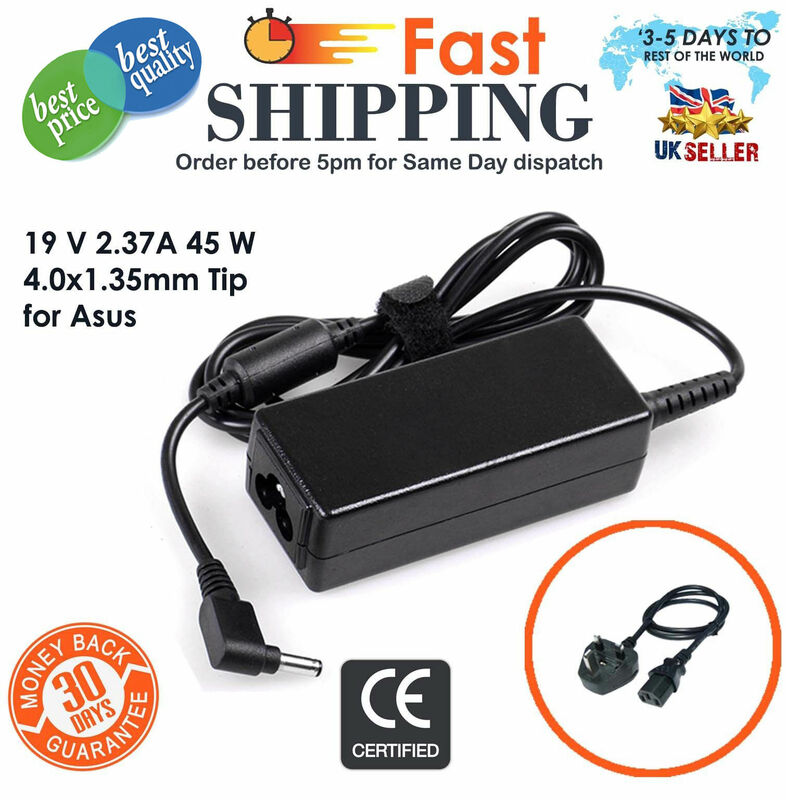 ABOUT UKLAPTOPCHARGER: Powering Millions of Laptops, Notebooks, Tablets and other gadgets by our best quality Genuine & Replacement Chargers since, 2010 in the UK. Our Power Adapters are made-up with finest type materials which include great services like 12 Months Warranty, Easy Exchange, Free Cable and Next day Delivery.